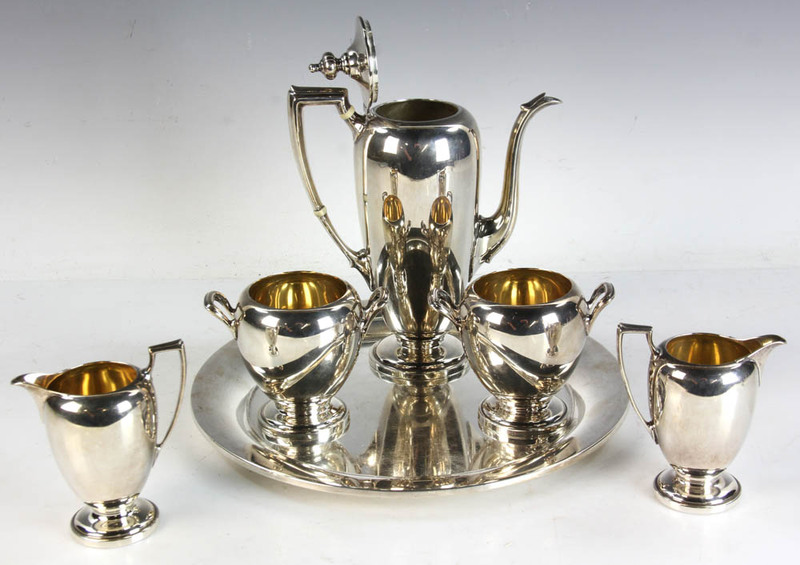 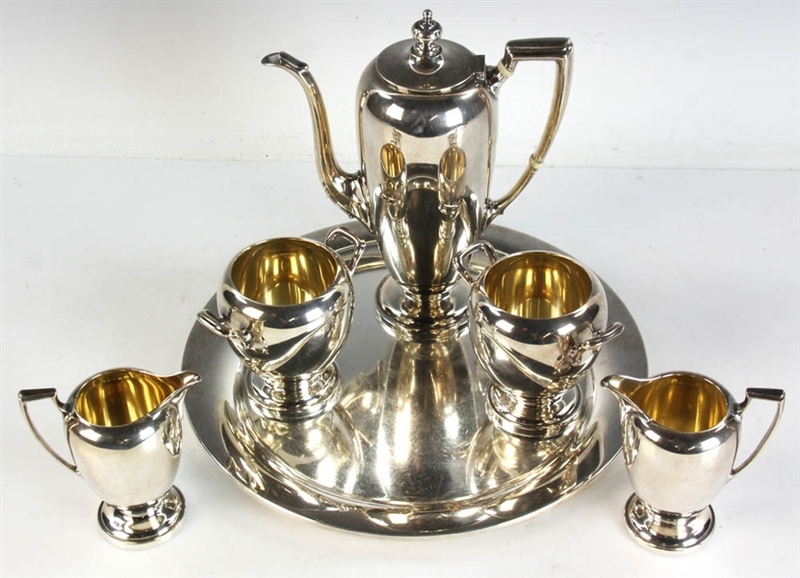 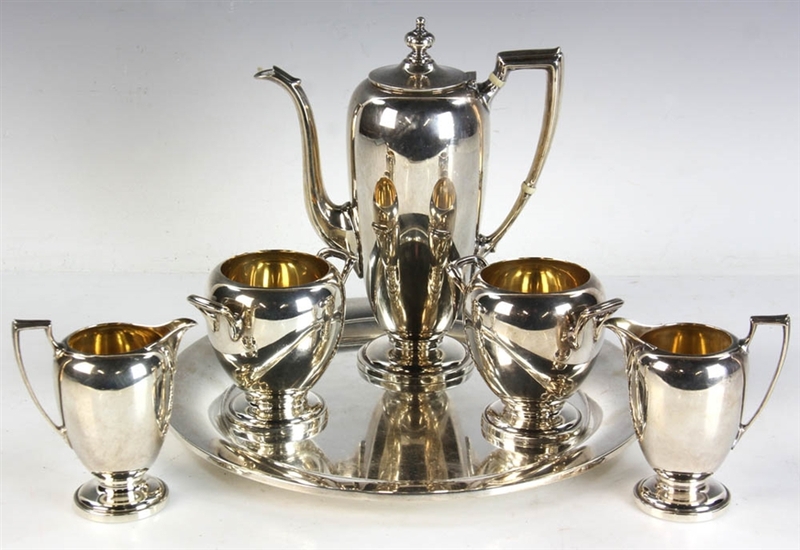 Reed & Barton sterling silver tea service consisting of coffee pot, two creamers, two sugar bowls, and tray. 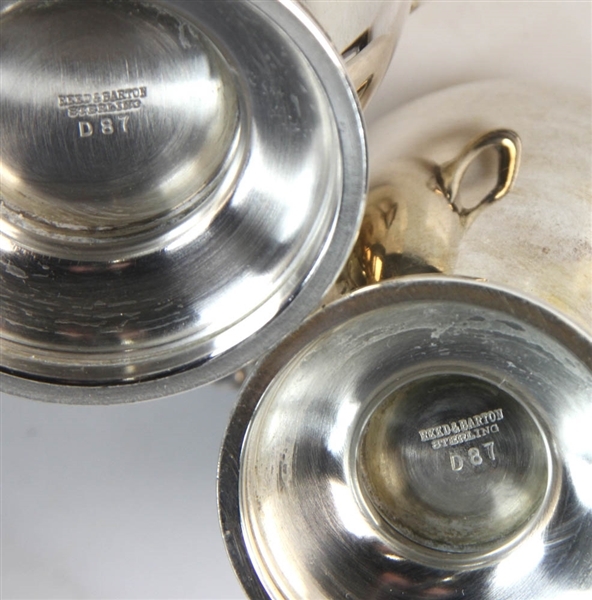 Tray 12" diameter; pot 10" H. Set approximately 45.7 troy oz TW. 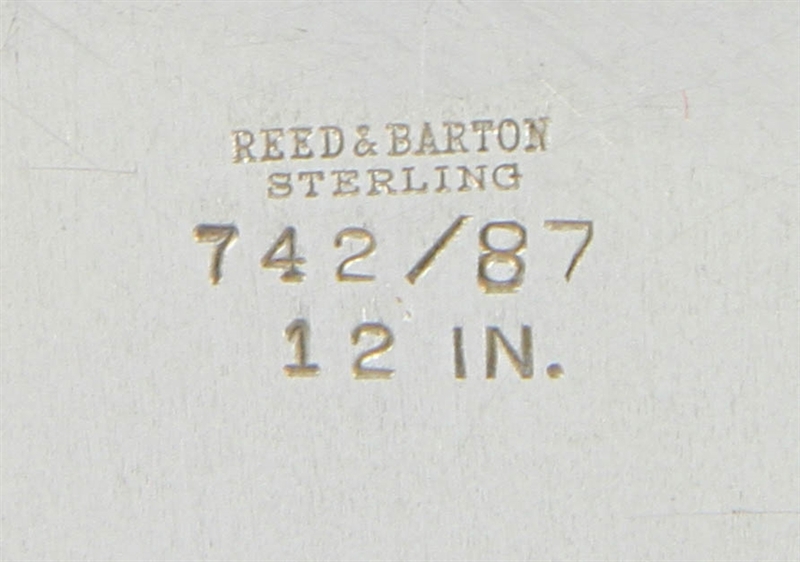 Tray approximately 25.2 troy oz TW. 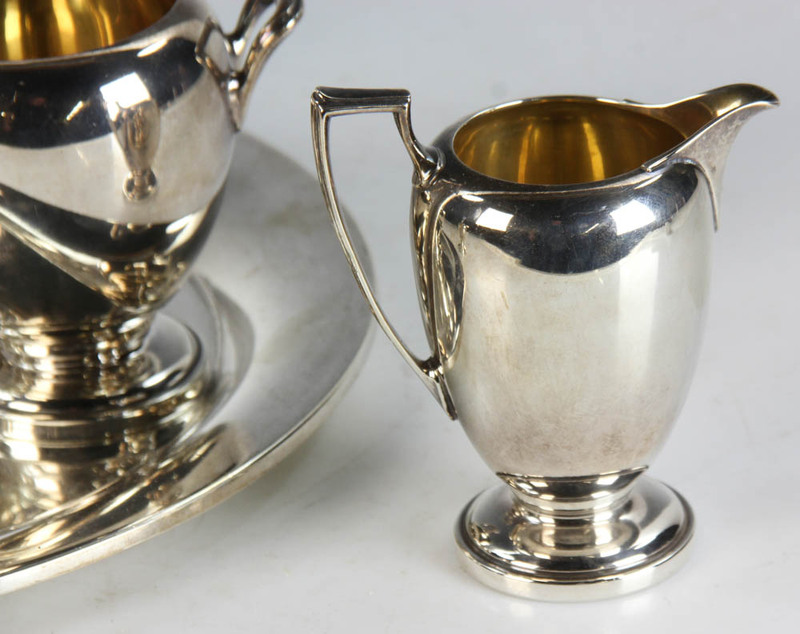 Provenance: South Hamilton, Massachusetts estate. 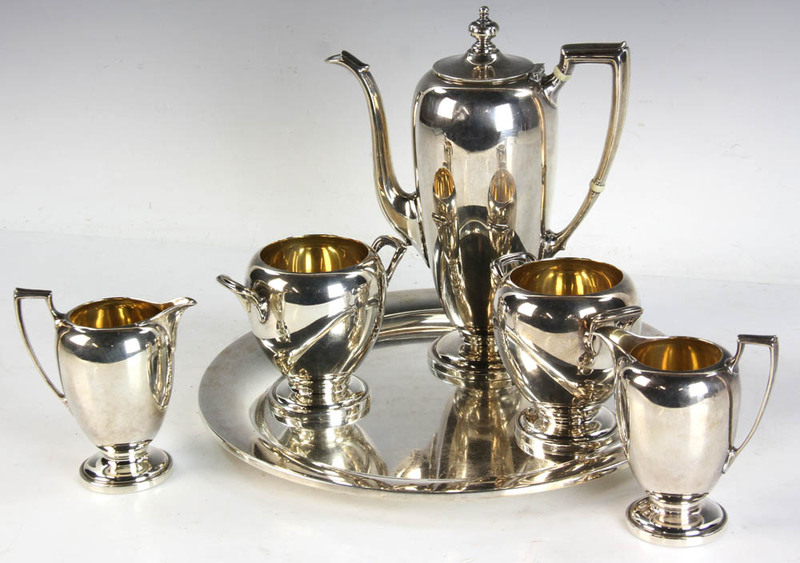 PLEASE NOTE: payment for silver, gold, jewelry, and coins must be made via PayPal, cash, or bank wire transfer ONLY.